Summer is here! That means you are likely thinking about vacations. Many individuals and families start thinking about the open road or the open skies now, planning trips for Michigan’s warmer months. However, there is an equally popular method of taking a vacation while staying at home — the staycation. With lives busy and commutes long, many people never take in the sights near them, making a staycation a hassle-free alternative to flying long distances and rushing through a week off. It saves money as well. The average family of four spends more than $4,000 on one week’s worth of vacation. A sustaynable vacation is not only for rest and relaxation, it’s a great time to start work on projects for your home. Whether or not you’re a weekend warrior and frequently do household projects on Saturday or Sunday, you’ll always have more projects to complete. Plus, Americans leave two days unused on average of their vacation allotment. The reasons range from not being able to afford a vacation (19 percent) to not being able to coordinate their schedules (23 percent), but that’s two restful days a lot of us throw away. If you plan a sustaynable vacation, you can take your full vacation with no problem. In fact, for home improvement projects, you can do part in a week’s vacation and take a day or so off to finish up later, so you use up all your vacation time. So, here are six ideas for summer sustaynable projects to beautify your home and grounds. Painting your house can be a major project. Many people pay to have this done due to their own lack of time. However, it’s fairly easy to do if you have the time. Paint in the morning when it’s cool, and have a barbecue once five p.m. rolls around. It’s a perfect sustaynable activity, and your house will look beautiful once it’s done. If you’re looking to save on expense (and who isn’t? ), you might try stopping by the local recycling center or hazardous waste center. Businesses who have leftover paint take it to these places for recycling. However, since paint has a long shelf life, it’s still fine to use. 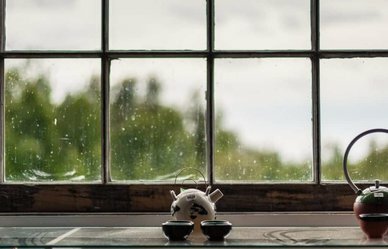 Many people get around to washing the outside of their windows really infrequently. It’s easy to clean the inside, but the outside gets equally dirty. It’s harder to wash during the winter, of course, when rain, snow or ice could make it genuinely unfeasible. So use the lazy, crazy, hazy days of summer to get your windows sparkling! Use a squeegee and one squirt of dishwater liquid in a bucket of water. Squeegee, rinse and dry. It will improve the look of your home inside and out. Mulching is one of the best sustaynable vacation ideas because it’s an environmentally conscious idea as well. Mulching means putting a layer of organic material around your plants. As it decomposes, the nutrients feed the plants with rich organic material. Mulch conserves both nutrients and water. Because these elements are conserved, you don’t have to pollute with fertilizer, and it saves money on fertilizer and water as well. You can make your own mulch with pine needles or grass clippings. Let them dry and place them loosely around the base of plants. Don’t pack it heavily, or the plants with smother! You can also buy mulch from a plant store. Mulch is one thing you can do for your yard, but it’s far from the only thing. 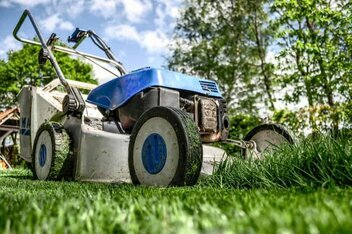 You can have fun with a nice list of lawn and garden duties. straight edge, edge it. If you’ve always wanted a rose garden, use your sustaynable vacation to plant a bush or two. In fact, you could be browsing through seed and flower catalogues as a fun activity in the months leading up to summer! While the other activities are fun or give you aesthetic pleasure when done, this one is really in a different category. We won’t say it’s a great time at home. It’s highly important, though. First, getting rid of pests like mosquitos and even mice or rats is important for you and your family’s health. Mosquitos and rodents are potential disease carriers. Mosquitos can carry both West Nile virus and the recently discovered Zika virus, which can be fatal. 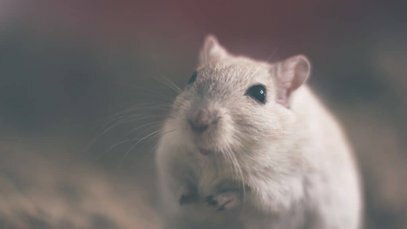 Rodents carry germs and fleas, and can eat your food as well. Second, getting rid of household and outdoor pests is an activity few people have time for during the winter, leaving summer as the best time. Spend your time getting rid of anything that could be a breeding ground for mosquitos. Even a cup of standing water is home-sweet-breeding-ground for them. Repair any screens — door or window — that could be entry points. Put screens on doors that haven’t had them. For rodents, make sure any potential entry way into your home is fixed. Make sure food is covered and put staples in containers that rodents can’t gnaw their way through. Fix traps if you’ve had a problem during the winter. Yes, we know, it’s not even Summer yet! But that doesn’t mean you can’t start planning ahead for the cooler months of the year. A popular project that you can undergo to prep for the Fall is to do roof and gutter maintenance. Yes, not the most exciting task in the world, but it’s important for water to route away from your roof and home’s foundation. Take a peek up at your roof once or twice a year to prevent leaves from piling up and check shingle quality. If your roof inspection finds damage, don’t be afraid to reach out to your friends and neighbors for their recommendation on a local contractor to take a second look! A sustainable vacation can be the most fun vacation you’ve ever had. You’ll save energy, money and stress. Most importantly, you’ll have a shiny beautiful house and garden at the end, and maybe some days left over for the finishing touches. Enjoy! Is your roof in need of replacing this summer? Or are you looking to protect your basement from future flooding? Some summer projects warrant an extra hand. We can help! This is a guest blog post written by Megan Wild. Megan Wild is a home improvement blogger who spends most of her time finding new ways to add color and natural light to her home. She enjoys writing about her adventures, tips, and tricks on her blog, Your Wild Home.